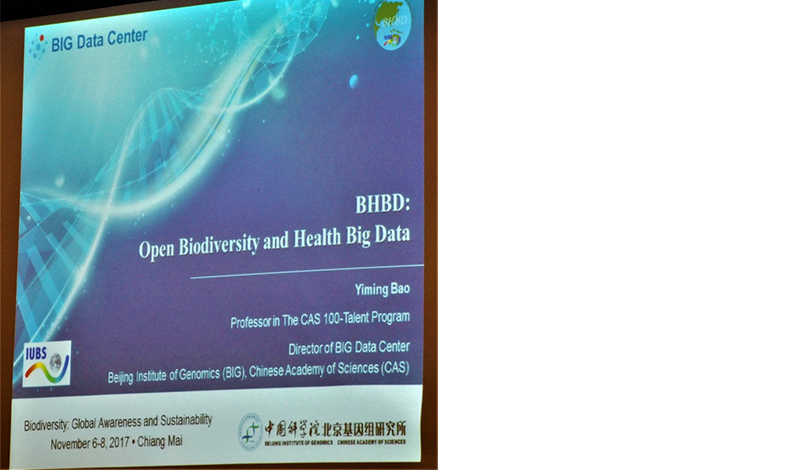 On October 14,2018 Global Biodiversity and Health Big Data (BHBD) Alliance was launched at Beijing Institute of Genomics in Beijing. The Symposium “How to name algae: names, taxa & databases” took place at the 11th International Phycological Congress in Szczecin, Poland, in August 2017.
iCCB organized a meeting in Addis Ababa, Ethiopia in June 2018 to discuss our ideas with Ethiopian partners at the Ethiopia National Museum. Next to scientific research, these discussions also concerned capacity building, such as future teaching and training workshops similar to what iCCB organized in Kenya in 2018. 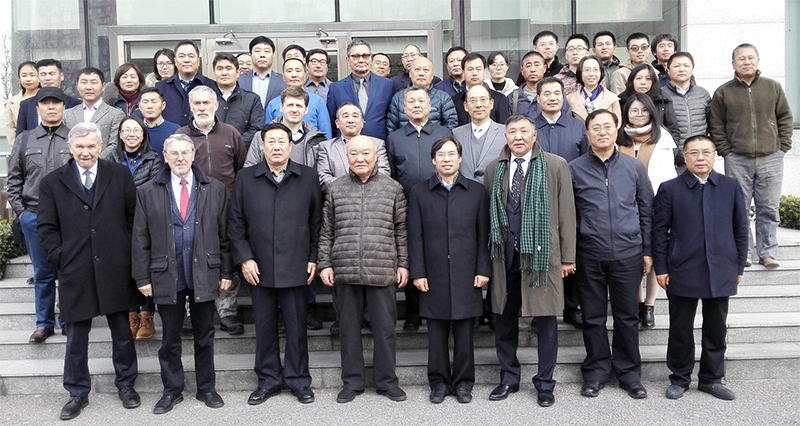 The meeting was attended by 3 participants. iCCB organized a workshop in Cambridge, UK, 1st May – 6th May 2018. This was a small workshop intended for intense on-hands planning and research. The result from this workshop was a letter of intent (LOI) to apply to a joint NSF-NERC (US-UK) funding program for a research initiative in Africa. We were invited to submit a full proposal to this international program (notification February 7, 2019) and we plan to submit a full proposal by the close of 2019. Strategically applying for grant funding from non-IUBS countries allows us to broaden the scope of the IUBS initiative. In addition to research, we developed a preliminary plan for a training program in East Africa. The workshop was attedned by 5 participants. 13 partners, resonsibel for different aspects of the projet met in Oslo in April 2018. The International Council for Science (ICSU) invites National, Union Members and other members to attend the 32nd ICSU General Assembly on 23-26 October 2017. As a member IUBS is taking part in it and looks forward to discuss the union with the International Social Science Council (ISSC) on 25-26 October 2017. 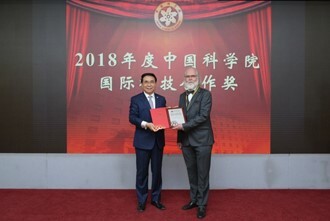 The meeting of the Nomenclatural Section of the XIX International Botanical Congress took place in Shenzhen, China, in July 2017. This event will bring together paleontologists, ecologists, and quantitative biologists to discuss how data from paleontology, modern ecology, and conservation biology can be integrated to provide a comprehensive framework for monitoring and measuring ecosystem structure and function through space and time (see first circular, pdf file). IUBS is one of the eight organizing organisations of the Science Forum, which is entitled "Mainstreaming biodiversity for well-being: Contributions from Science" and will take place 1st and 2nd December 2016. The forum aimes to be a meeting place to share knowledge, approaches and solutions, among scientists, policy – makers, and the civil society for mainstreaming biodiversity especially focusing on agriculture, fisheries, forestry and tourism. To discuss and share biodiversity mainstreaming challenges and solutions, with a focus on agriculture, fisheries, forests, and tourism, based on current scientific findings, approaches and the experiences of stakeholders, including COP 13 delegates. To open the dialogue to enhance the technical and scientific cooperation for the replication of best practices and capacity-building on mainstreaming. To provide an open space for debate on science and research among scientists and policy – makers, and alerting scientists on how to communicate to policy-makers and the civil society and scientists to policy and society needs. The 9th BCGC Symposium will be held during the The 9th International Symposium of Integrative Zoology, which is entitled "Response and adaptation of animals to extreme environments". The conference will be held in Xining, Qinghai Province, China, from 27th to 31st August 2017. 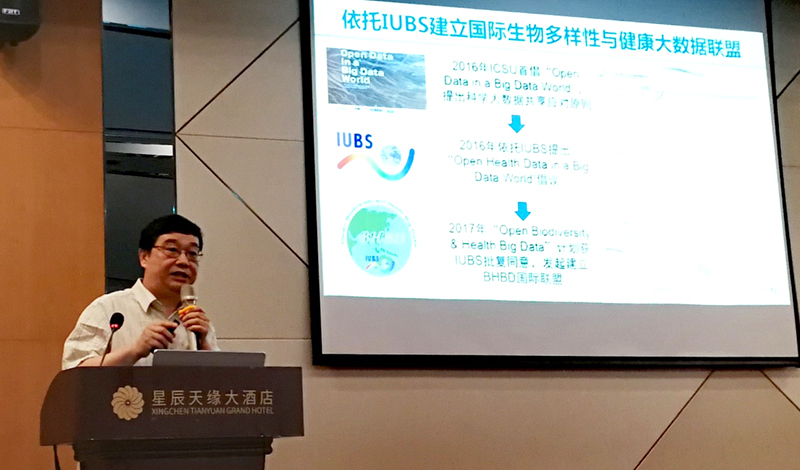 It is organized by the International Society of Zoological Sciences (ISZS), a scientific member of IUBS, and supported by IUBS via its Biological Consequences of Global Change (BCGC) programme. ICB organized a Town Hall meeting for biodiversity professionals at the Natural History Museum, London to discuss the strategies for registration of organismal names with Thomas Pape (President of the ICZN), March 2017. The side event entitled “Mainstreaming biodiversity for well-being: Contributions from Science” was organized at the conference of the parties COP13, the highest governing body of the Convention on Biological Diversity (CBD). 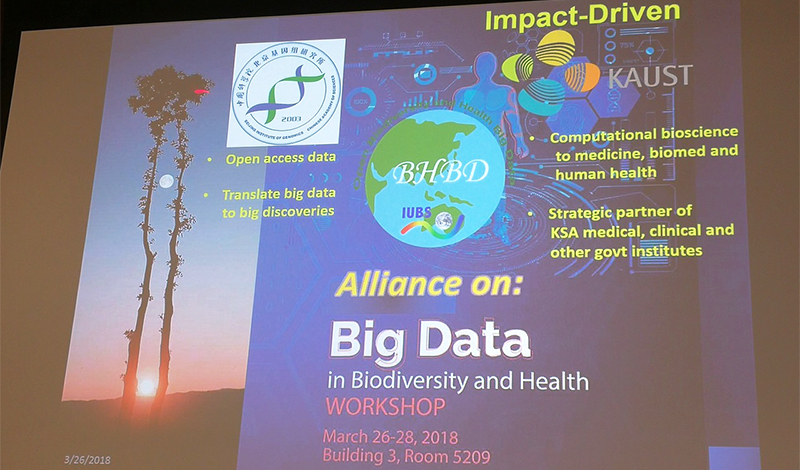 Moderated by Lily Rodriguez (IUBS) the participants discussed a declaration on behalf of more than 300 scientists, practitioners and policymakers. The report summarizes why safeguarding biodiversity is essential to improve our ability to adapt to abrupt changes such as extreme climate events or sudden financial market crashes and to transform the deep roots of unsustainable practices and inequity. It was intended to share knowledge, approaches and solutions, among scientists, policy–makers, and the civil society for mainstreaming biodiversity especially focusing on agriculture, fisheries, forestry and tourism. The 3rd Science for Biodiversity Forum was held in Cancun, Mexico, on 1st and 2nd December 2016. Steering Committee meeting in in Berlin November 2016. We also held bi-weekly Skype meetings from August onwards for organizing the training workshop. Pollination in Agriculture: Insects (Bees) and Ecological Intensification. at: VIII Encuentro Colombiano sobre Abejas Sylvestres, Bogota, Colombia 28 – 29 November, 2016. Presented by P. Kevan. Implementación de la Tecnología Entomovector como Herramienta para el Fomento de la Competitividad en Sistemas Productivos Promisorios: Fase Piloto Fresa (Fragaria sp.). Growers meeting in Fusagasugá,, Colombia. 19 November 2016. Presented by Saira Espinoza. Diversidad de polinizadores y producción de café en México II Congreso Nacional de Fauna Nativa en Ambientes Antropizados. 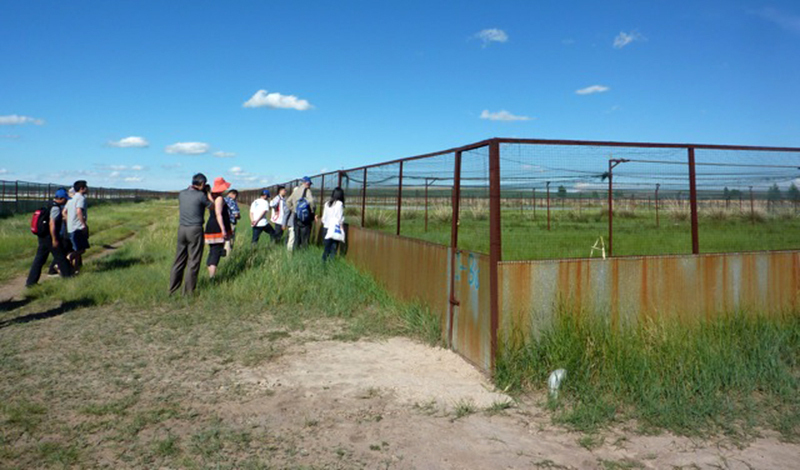 Red Temática Biología, Manejo y Conservación de la Fauna Nativa en Ambientes Antropizados (REFAMA). Querétaro, Qro. October 12, 2016. Presented by Carlos Vergara. Monitoring Honeybee Health in Canada. Presentation to House of Commons Committee on Agriculture, 30 May 2016. Witness Presentation by P. Kevan. We held a subgroup research meeting on paleo-occupancy models in College Station, TX, USA, in March 2016. We also held monthly skype calls with this subgroup. 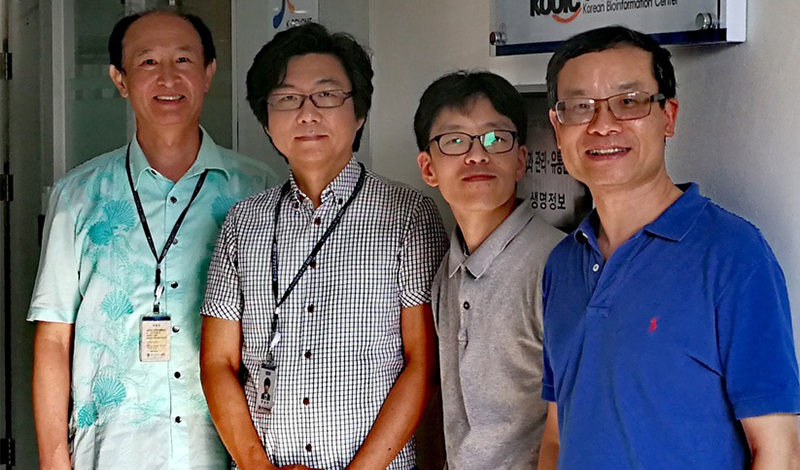 Editorial meeting to publish a journal issue reporting the DAB results that had accumulated through the workshops and symposia held in 2013 and 2014. The next meeting of the International Committee on Bionomenclature (ICB) will take place during the 32nd IUBS General Assembly and Conference in Berlin 14th to 16th December 2015. The ICB is one of the scientific programmes of IUBS. The workshop Ecosystem Services and Traits, was organized and held in Helsinki, Finland in November, 2014. 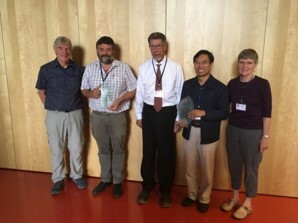 The Symposium Ecometrics and Biotic Change, Berlin, on 8 November, 2014, was sponsored by iCCB at the 74th Annual Meeting of the Society of Vertebrate Paleontology. Workshop: Desaster and Biodiversity, IUBS triennial DAB Programme in cooperation with Biodiversity Network Japan. 6 to 8 Sept 2014, Tohoku University, Katahira Campus. Followed by a field excursion to the coastline of northern Fukushima on 9 September. 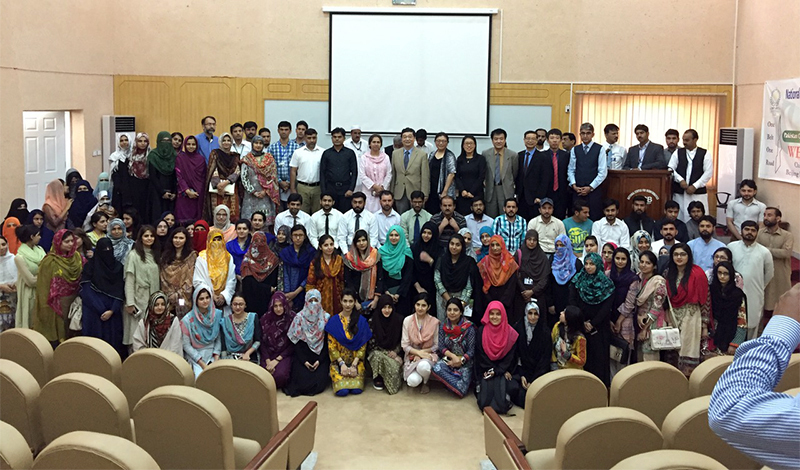 Workshop titled Traits in Texas: Ecometrics, phylogeny, fossils, and biotic change, at Texas A&M University, College Station, TX, on 6-8 April 2014.
International Workshop on Disaster and Biodiversity (DAB), IUBS Triennial Program, Workshop 2. At Chuo University, Korakuen Campus, Tokyo, 28 January, 2014. 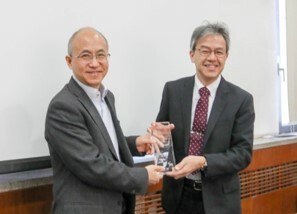 First Domestic Workshop, held in December 2013 at Chuo University, Tokyo. iCCB database meeting, Helsinki, Finland, 1 - 5 December, 2013. Two workshops on Biovectoring at the International Coffee Organisation (ICO), Belo Horizonte, Brazil, 9-12 September 2013. Workshop on trait modeling, Indiana University, Bloomington, Indiana, USA, February 18 – 24 2013. IUBS Symposium: Nomenclature for the Future at the European Systematics Conference, in Vienna, Austria, 18 – 22 February 2013. six talks, attended by a 70-100 people at each talk. The workshop took place at the Swiss Federal Institute for Forest, Snow and Landscape Research (WSL), Birmensdorf, Switzerland, 5-7 September 2012. Organized as joint conference from the Swiss National IUBS committee and the WSL. Attended by 21 scientists from Switzerland, USA, France, Finland, Norway, Germany, and UK. 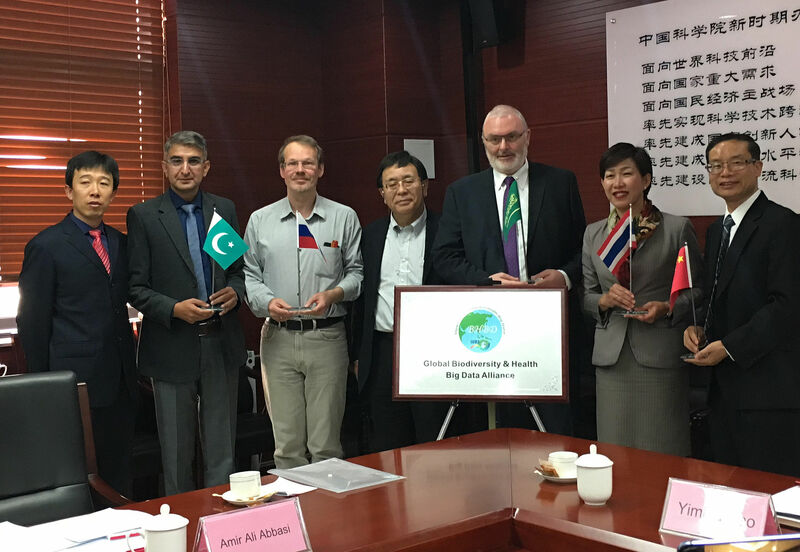 “Biological Consequences of Global Climate Change (BCGC) and integrative Climate Change Biology (iCCB)” joint Symposium at the IUBS General Assembly, 6 July 2012, Suzhou, China. BioCode & ICB Workshop, Berlin, Germany, 26-28 April 2012. The two-day workshop on "Modelling Species, Traits and Climate", was held in Frankfurt, Germany, in September 2011. The Symposium Modernizing the Nomenclatural Codes to meet future Needs of Scientific Communities (BioCode) was presented during Biosystematics 2011, Berlin, 23 February 2011. We organized one workshops for the working group.